[Kuala Lumpur] When we talk about Kuala Lumpur’s food culture, street food somehow takes precedence, but this is also a city fast maturing in fine dining and best restaurants. 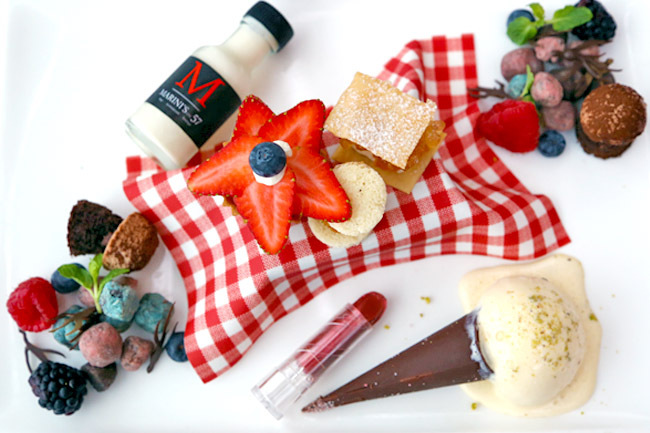 Marini’s on 57 is probably the most beautiful restaurant to dine at in Kuala Lumpur – almost a perfect place for romantic dinners, business meals or simply to wind down with cocktails. Going up via three different elevators was not as direct as I thought, but that created a sense of anticipation. When we finally reached Level 57, the view was just so spectacular it made you hold your breath when taking in the buzzing city from this height. 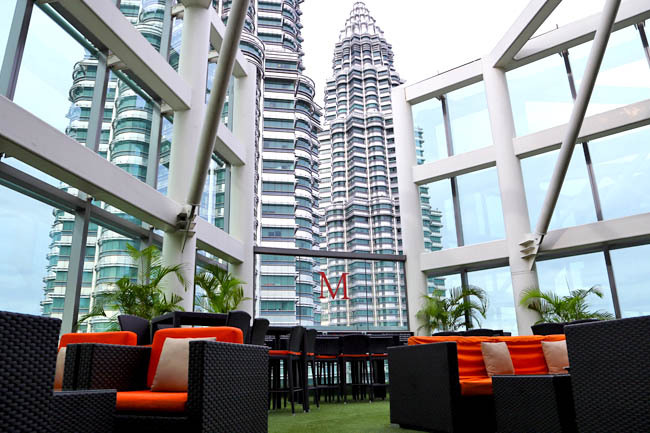 Few people may have heard of the lesser-known third tower of Petronas, but this is also where you can have a gaze at both towers, while sipping cocktails and premium wines. This is also the place to see, and to be seen. We hear that celebrities Jimmy Choo, Benedict Cumberbatch, Tiger Woods and Valentino Rossi have been seen here before. ‘Happy Hours’ are known as ‘Sunset Hours’ here, held daily from 5pm to 9pm because this is where you can watch the sun set in clear view. 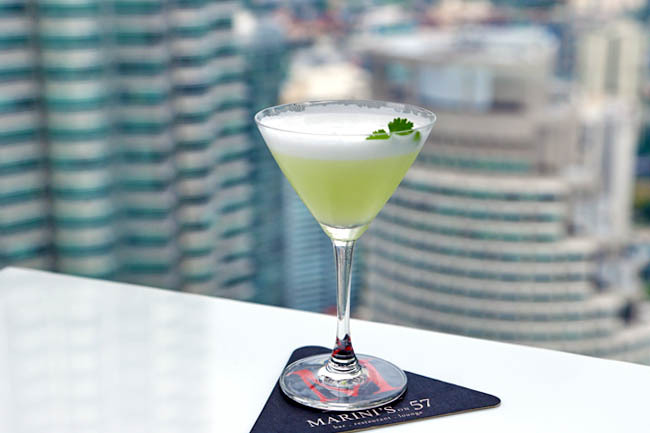 Marini’s on 57 comprises three unique sections, all interconnected – a rooftop bar, an Italian restaurant, and a whiskey & cigar lounge. I must admit that this was the first time I was dining in an Italian restaurant in Kuala Lumpur, because it was never quite on my radar. 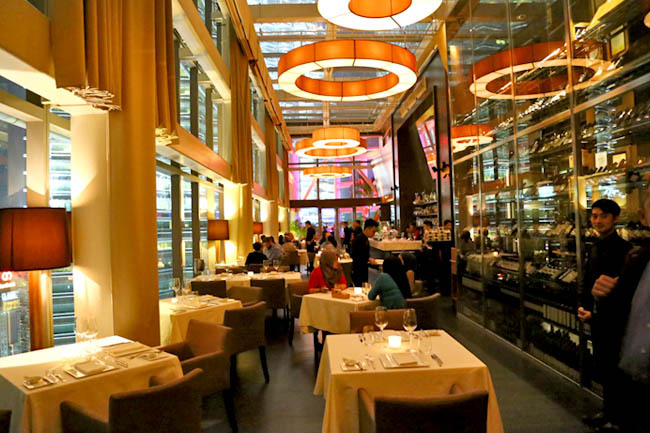 But the quality and service I enjoyed was definitely comparable to many good restaurants around the world. 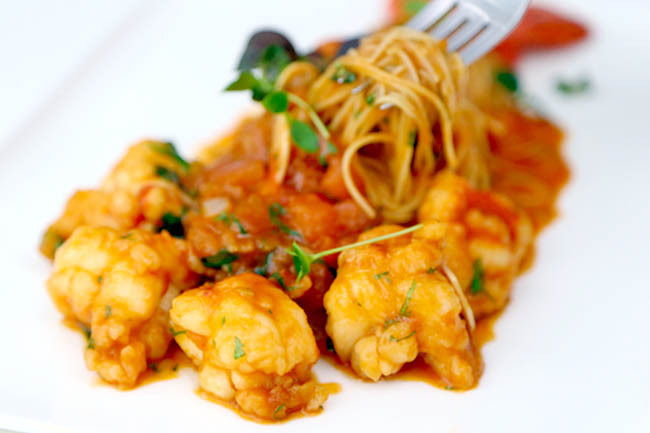 The restaurant offered an a la carte menu featuring seafood air-flown from Italy, handmade pastas and imported quality beef cuts. 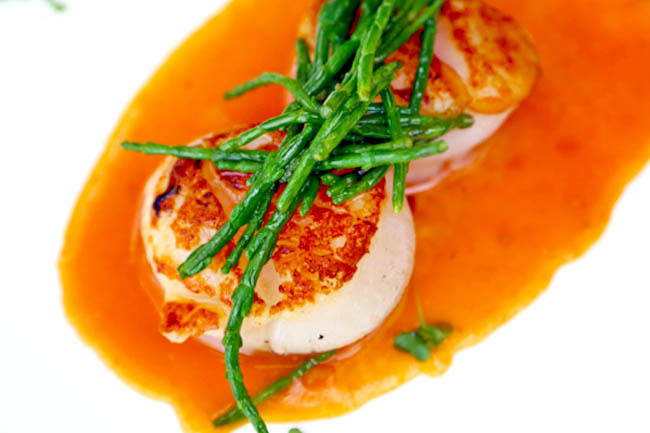 You can also request for a personalised tasting menu from the Chef. 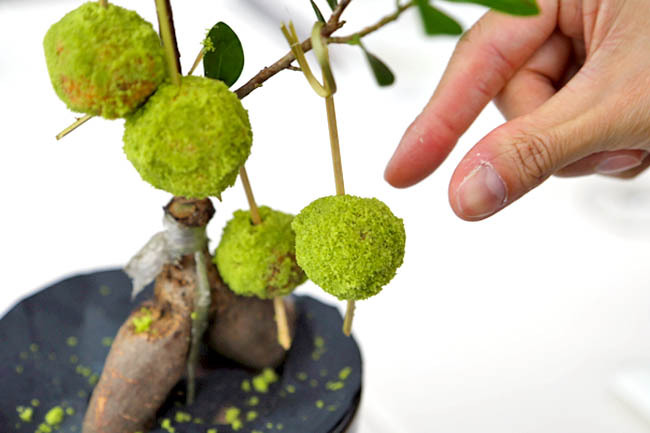 When the amuse bouche arrived – olives covered with parmesan presented hanging on a plant, that reminded me of a similar one at El Celler de Can Roca (currently the 2nd best restaurant in the world). 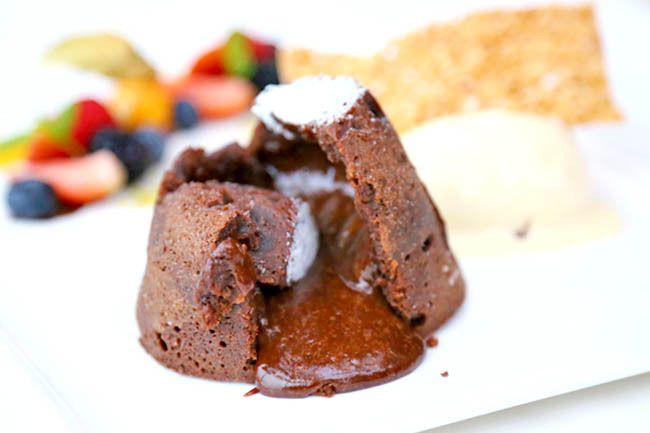 Fun and tasty. If that didn’t interest you enough, the salad “Insalata Stagionale” (RM88, SGD$32.70) would. 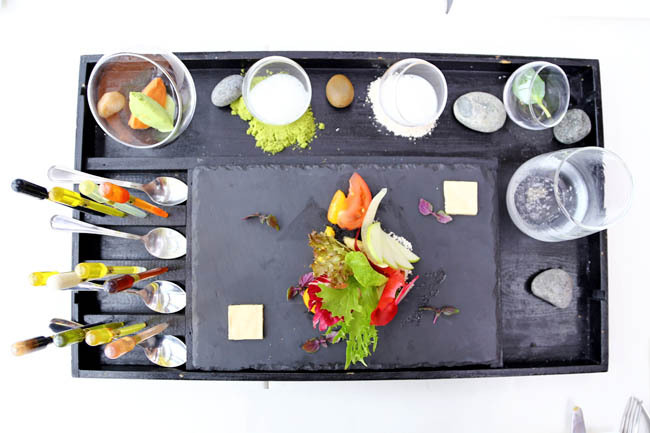 The dish was an elaborate presentation of 20 types of greens, 12 dressings contained in pipette tubes reminiscent of school chemistry experiments (I liked the truffle dressing, balsamic reduction and tomato dressings best), plus perfume sprayed all over for a multi-sensory dining experience. 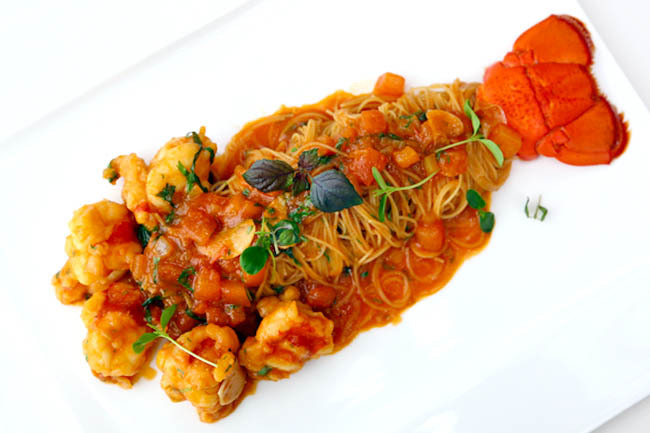 My favourite main course was the “Capellini All’aragosta” (RM178, SGD$66) – al dente angel hair pasta, cooked in light tomato sauce with fresh chunky lobsters on the side. 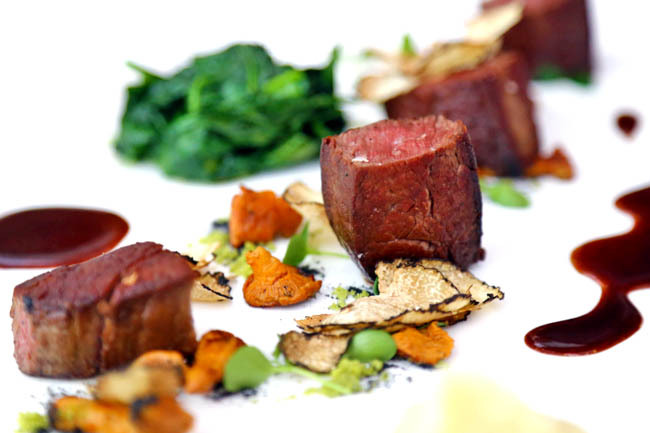 The other stand out dish was the “Tagliata” (RM290, SGD107.70), 150gm Aged Wagyu beef tagliata style with spinach, summer truffles and parsnip. So I asked the service staff for “the prettiest dessert you have on the menu”. They presented me with a “Picnic” (RM45, SGD$16.70), and EVERYTHING on the plate was edible. The picnic cloth could be eaten. There was a lipstick – also edible. It was made of chocolate. Beneath the cloth was a rich chocolate brownie, summer chocolate served with peaches, cherries, and gelato on a chocolate cone. Super. Other than a spectacular view, service was attentive yet not-overly intrusive. There was a certain air of easiness lingering somehow, that would make you forget your troubles and as you enjoy a good glass of wine. Such a romantic setting too. I can just so imagine someone proposing here, complete with sweet desserts and a mesmerising KL afterdark cityscape. The amuse bouche and dessert certainly caught my eye! mmmm! Looks fantastic! Do they offer any set menu for dinner/lunch? At the moment, doesn’t seem like there is a set menu. However, their caffe concept at Level 1 has set menus. Yeah, and the salad is also quite fascinating. OMG, really likie the picnic dessert dish! 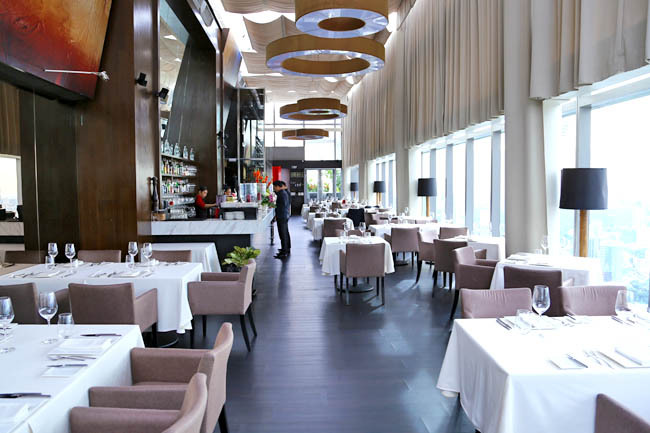 Wow, Marini’s on 57 is the most beautiful restaurant to dine at in Kuala Lumpur ! What a fun way to visit such a charm filled place as Marini’s on 57. Ya, I have tried the food before. Damn Nice! wow this is really cool. I really want to visit this restaurant. Wow!!! Spectacular fun environment for food. I saw lipsticks. haha Will definitely go try it out. Wuhoo.